An expert claims that any cancer treatment that was accidentally dispensed by CVS will not harm the kids who took them, but the question remains — can you trust your neighborhood pharmacy to not make the same error? After CVS discovered that up to 50 families had been dispensed a breast cancer treatment instead of fluoride pills for children, Philadelphia College of Pharmacy professor Daniel Hussar assured the parents that the children will likely not suffer any ill effects. “It’s very unlikely that this specific drug would cause any serious or adverse effects when used for only a short periods of time,” he reported. Over a nearly three-month period, several pharmacists at a CVS pharmacy in New Jersey apparently made the ultimate pharmaceutical error. Children were prescribed fluoride in chewable form, but instead were given a breast cancer treatment called Tamoxifen. Tamoxifen is an estrogen blocker commonly prescribed for breast cancer treatment and is meant to be swallowed with liquid, while fluoride is a supplement prescribed to help prevent tooth decay and is a chewable tablet. While no injuries or negative effects have been reported, the incident is a scary one. Many medications look the same — sometimes it’s only a matter of a letter or two imprinted on the side of a pill that distinguishes the drug from a distinctly different counterpart. What can you do at home to double-check your child’s prescriptions? Most often, there is a diagram or other information on the label of your medicine container itself or on the literature it comes with, or both. It will describe the shape and color of the pill and any markings that should be on its sides (indicated by “Side 1” and “Side 2”). Sometimes there is a drawing to accompany it as well. Make sure the pills match what should be in the container. You can also go online to match the meds up. 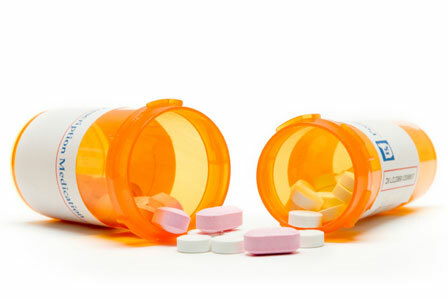 If you go to drugs.com and type in the name of your medication, a list should some up and will often include images of the pills themselves for you to compare to. The pharmacy is currently under state investigation, which will determine what action is taken, if any. It’s fortunate that no injuries have been reported due to this pharmacological nightmare, but we as parents have to be very vigilant on our end to make sure the medicine we give our child is the right one for them.